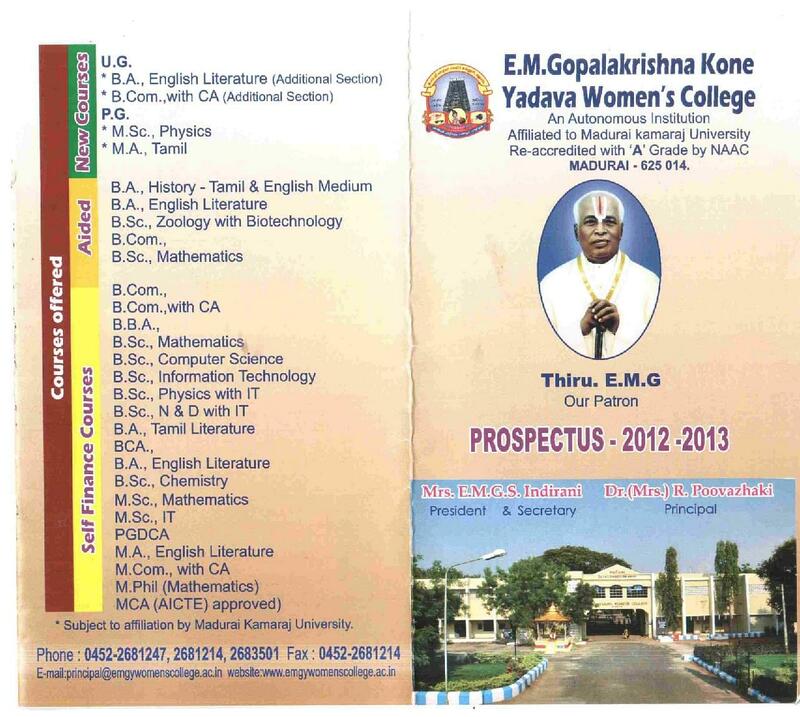 EMGYadavaWomens Collegeis located in the city of Madurai. 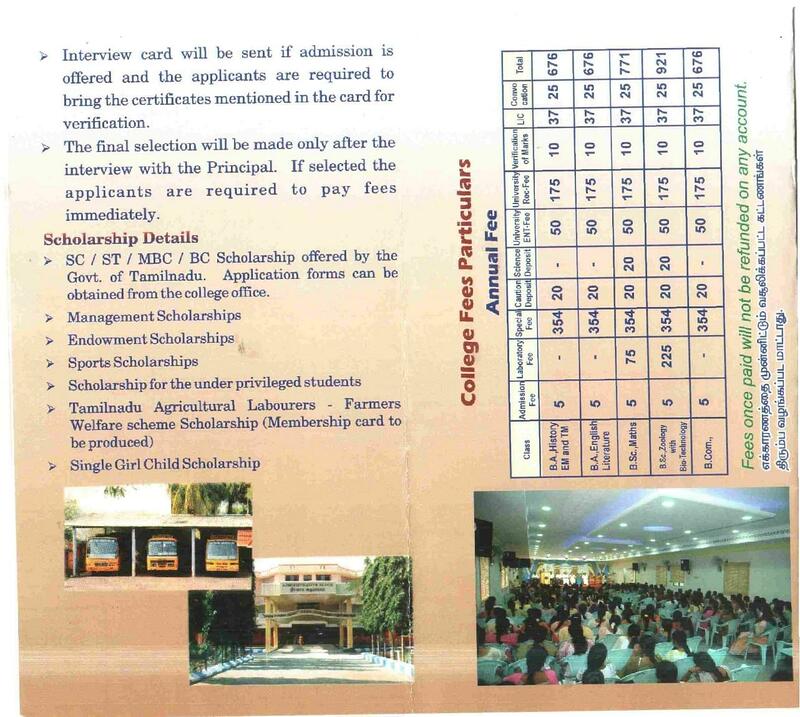 The college was founded in the year 1974 by late Thiru. E.M.G. SoundaraRajan,with the purpose of providing quality education to the women of the country.The Institution has been administered under the Governance of E.M.Gopala Krishna KoneYadavaMahalirKalloori Association, Madurai.The college has been providing quality education to women with it’s excellent curriculum and has produced many young professionals over the years in various fields. 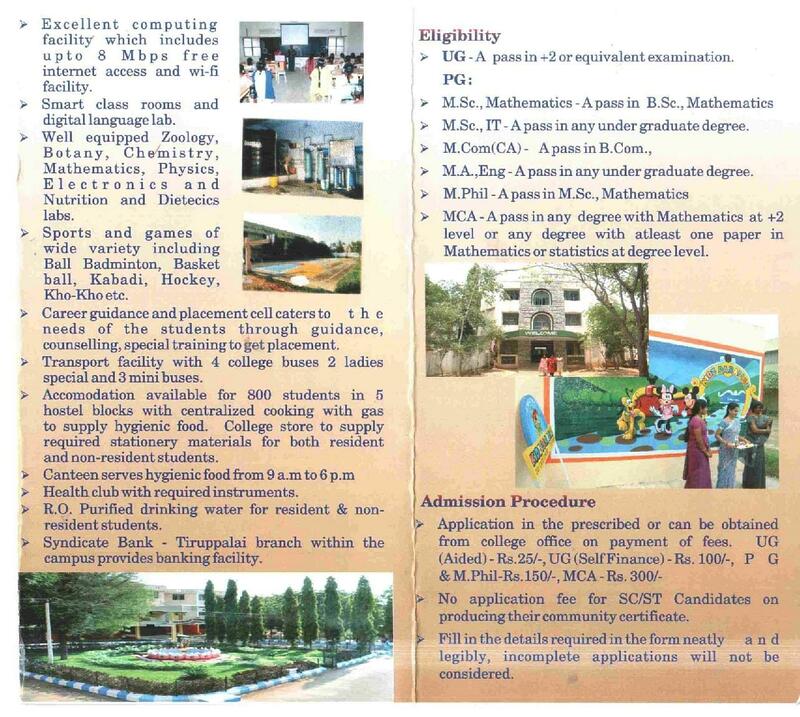 Why to Join EMGYadavaWomens College? Accredited by- The college is accredited by National Assessment and Accreditation Council (NAAC).